Single ended valve amplifier with some special technical . He's calling "Mirror images drive" for valve amplifier. around amlifiers to be good. when near cut off position under Ip – Eb curve each valves. of 2nd harmonic. This type of distortion is under 3/2 multiple character. to get output signal on plate,probably to get some no distortion signal. Is idea of Mr hideo Fujii. He call it's Mirror Images Drive. 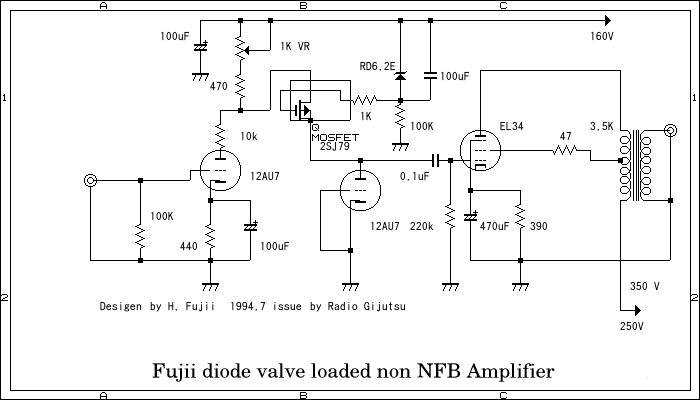 some of NFB but this type of amplifiers does not need NFB. 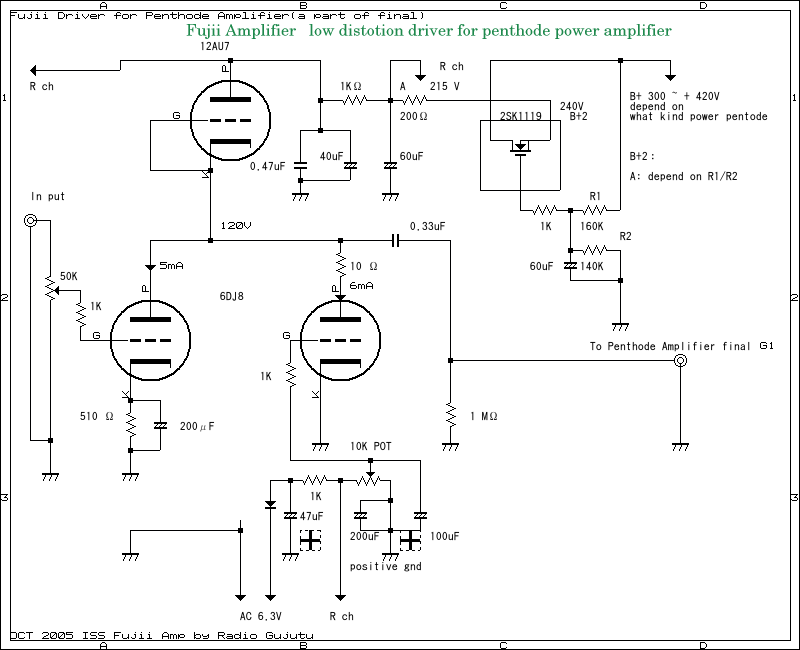 so you can get clear sound from Power Penthode Amplifier.distortion are divided by 10 or more. The single amplifier accompanies the essential non-linear shape which is derived from 2/3 power qualities of input anti- output current of the vacuum tube. 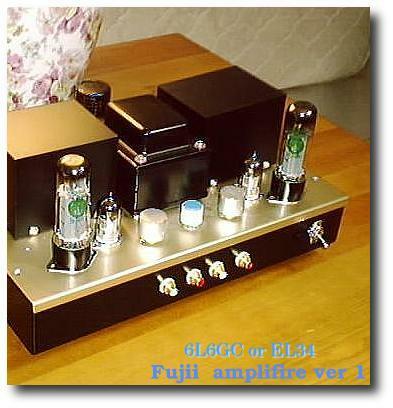 Some device as for the vacuum tube amplifier which is not 10% distortion is generated from 5 to generality. In case of the triode amplifier, it is possible to decrease the distortion rather by giving the load resistance of 3 times from 2 of the internal resistance which it has individually. And in the multielectrode tube doing the kind of thing generally, that it decreases the distortion, it is assumed that it is very much difficult. Generating the strain rarely with the driver tube, making the secondary distortion decrease which occurs with the output tube is usually done, but it is very much difficult thing, is, but it is reduction method of the distortion which is used generally. We call "offset of the distortion". It has been said Fujii the multielectrode tube input/output relationship is stipulated in gm. As for the multielectrode tube because it is the electric current output device, as for effective amplification constant being consistent, because it is gm, the quality which is obtained with that becomes 2/3 power qualities. It is assumed that it is difficult to escape from these qualities. It is to insert the element where the method Fujii devising here generates the opposite quality curve of 3/2 power qualities in the circuit. The equivalent diode of a triode is chosen in the opposite quality element. And that applying as the resistant element, being to devise that it denies 3/2 power qualities, it does. It is first to be announced to the Japanese technical magazine in 1994 by him. He has died in New Year 2006, it stopped impossible already to look at the vacuum tube amplifier of that original thought, but those where the information regarding many vacuum tube amplifiers is left very are important thing. As for also backbiting of the wicked road being heard it is fact in the people of part, but as for me as for the vacuum tube amplifier of that original thought you think that even from now on it keeps living somewhere of the world. The very regrettable person is thought the dying/fleeing paragraph is with. The 6L6GC single amplifier which is announced in 1994 is a result of decrease of the distortion of maximum of 20 decibels with this method. There are 3/2 power qualities in the equivalent diode of a triode. Being recent years, he all the vacuum tube distortion decrease drivers which abolish FET experimenting and succeeding. The advocate of the single amplifier of dream being not to be, does, that already new technology is shown in us but you try probably to leave on the eternal master and the edge of heart. Furthermore the vacuum tube which is used has recorded when the equivalent diode of a triode connection of 12AU7 has the best quality quality. 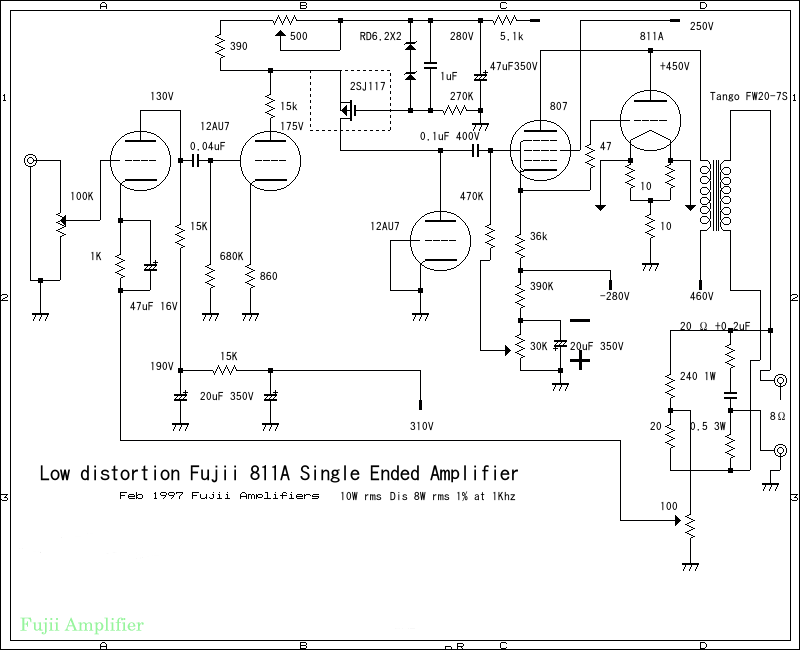 (1)Use: Distortion decrease of acoustic amplifier of distortion reduction like a 6L6GC beam valuves. Right now does not need push pull Amplifier.